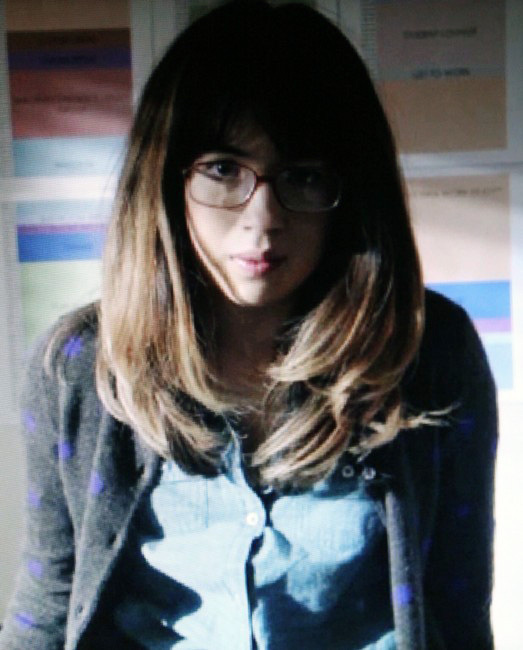 While he figures that out let’s get to know Nichole Bloom. What were your initial reactions about being cast in Shameless and learning about your character? I was grateful to be cast in a quality show, but I didn’t know that my role would expand to the extent it did. I never expected Amanda to get so involved in Lip’s life. Reading the episodes week to week and finding out something new about my character was fun. Shameless has always had fun, strong, interesting roles for women. They’re not one-dimensional. How did it feel to become a part of that? It feels great! I get to explore a very specific part of my own personality that only comes out around a few certain people. Now it’s like anyone who watches the show is seeing this side of me. How was it working with Jeremy Allen White (Lip) and meeting other cast members? Jeremy is a pro. I learned a lot by observing him. I got to meet everyone on set throughout the season. I remember meeting Joan Cusack while I was getting my hair and makeup done. I think she’s so brilliant on the show and it was one of those things I didn’t know who should say hi first, so I got up the courage to act casual about introducing myself, but she was the one person I got a little star struck around because I love her work so much. She was very kind when I did finally say hi. What did you do around the city when you were filming on location in Chicago? I just wanted to wander and eat good food, so I would go out by myself any opportunity I had. My castmate James Allen McCune (Matty) shared an enthusiasm for indulging in food with me during the trip. I’ve never eaten so much Italian food in my life. There’s this place called Eataly that was basically a three-story Italian food court, so I spent a good chunk of time there. How was the experience of being the lead on Model Minority and playing a character like Kayla? We had to shoot quickly and also I was juggling finals when we were filming. I remember I was writing neuroscience term paper on set. But that whole experience gave me more confidence as an actor, and I am grateful to (writer/director) Lily Mariye for giving me that opportunity. She’s also a friend now, so that’s an added bonus. Due to your role on Shameless you must be getting recognized by more people. Have things changed when you’re out in public? Usually when I meet people who watch the show they don’t recognize me until someone else tells them I’m on it. Then they’re like, “oooh you’re that girl? !” I think it’s because in real life I’m quite different from Amanda. Oh, whatever. If I’m hanging out with someone I’m really into, I could be in the back ally of a punk venue where it smells like piss and have a great time. You go home after filming an episode of Shameless – what music do you need to have on? Who are some of your favorite artists? Sometimes after a day of work I just need to dance in my room. Rap and hip hop hits the spot. Right now I love that song “Bad” by Wale. Favorite TV shows and/or films? I don’t have a TV, just Netflix on my computer, so I usually end up watching documentaries. Food and beverage of choice? If it had no affect on my health, I would only eat ice cream all day. My favorite drink is beer – Red Stripe. How has your family reacted to your career? My mom gets excited for me most. Her side of the family is all in Japan, so they don’t see anything I do. She won’t watch certain scenes I do more than once. It can be uncomfortable for her. She’s really a conservative, old-fashioned Japanese woman. I do speak Japanese; I love whipping it out and surprising people who don’t realize I’m Asian. Do you enjoy doing comedy and drama equally? I love both. Comedy is more instinctual for me. Next season is kind of still up in the air. I don’t know myself. Amanda does have a scene with Mandy Milkovich, Lip’s longtime on-and-off girlfriend, who last season ran over Karen, Lip’s other girlfriend. I don’t die, so I guess it’s left open-ended. She stars in the short film, Full Circle, with Justin Chon, who wrote and directed it. She also stars in his new movie, Man-Up! She hopes it will be released soon. Bloom appears in an episode this season of Teen Wolf in which she plays a group leader in a World War II internment camp. Bloom lends her voice to the PlayStation video game, Until Dawn, with Hayden Panettiere. Bloom produced, wrote, and directed the comedy short Kiko in America. She plays four different characters and it’s available on the Funny Or Die website. Before our conversation Bloom was listening to Otis Redding (“I love Pain in My Heart”). Bloom’s movie recommendation to The Dodgy is Blue is the Warmest Color which won the Palme d’Or at the 2013 Cannes Film Festival. “I love that movie and I did a lot of research on it after I watched it and how they made it. It was really fascinating. I think it’s one of the best movie’s ever.” The Dodgy recommended to Bloom Lost and Delirious. It was a coincidence that our movie recommendations involve lesbian relationships.